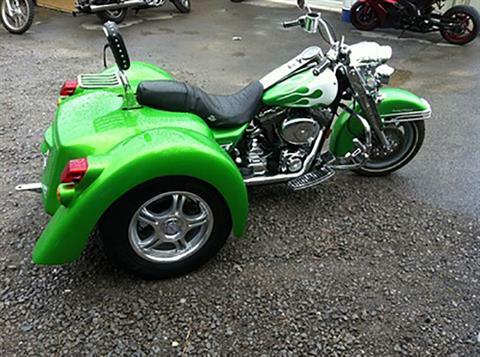 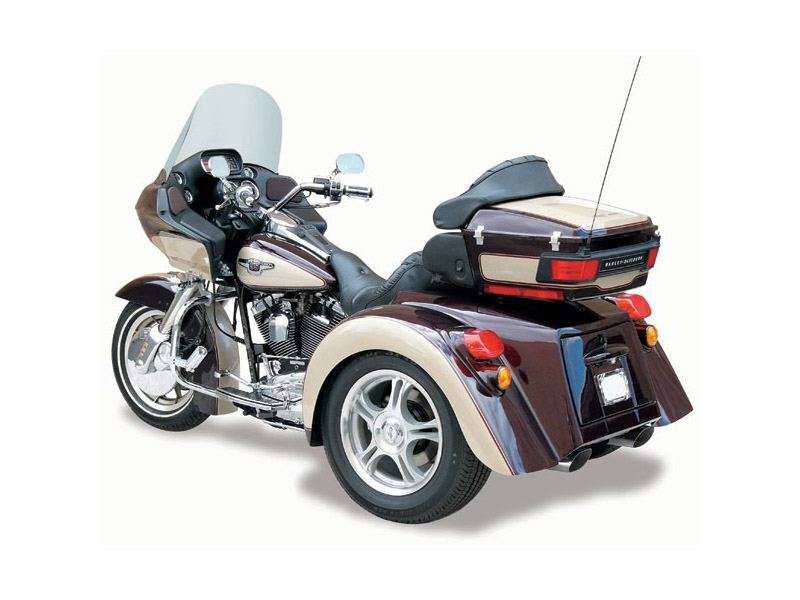 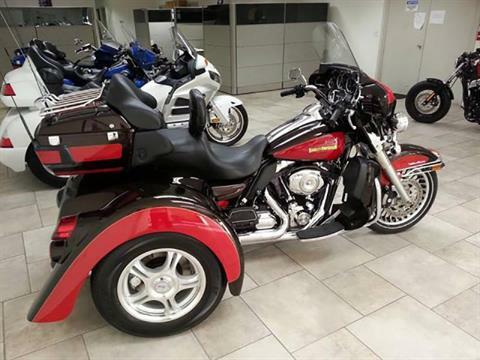 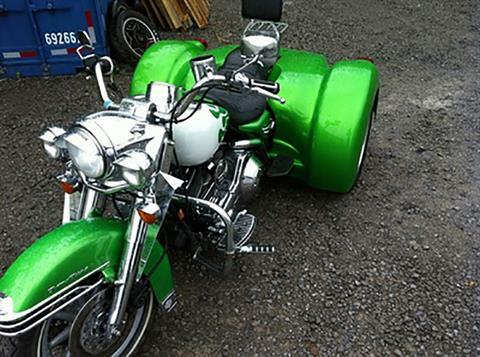 The all new Champion FLH trike kit features our Comfort Ride Trike (CRT) suspension. The new Independent Suspension features high pressure gas shocks, forged upper and lower control arms and high pressure cast components for added strength and reliability while reducing weight. The standard sway bar can be upgraded to our patent pending Variable Sway Control (VSC) system allowing for increased performance in handling and comfort on the highway. 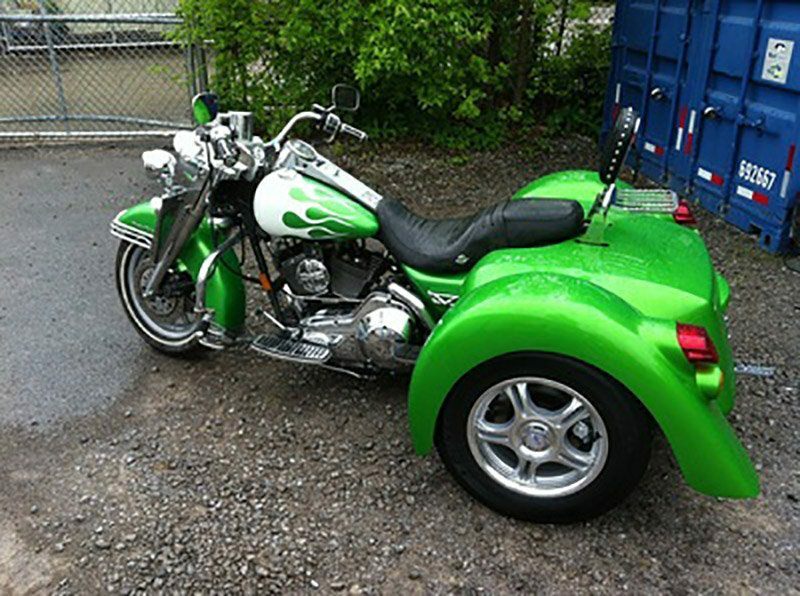 Our FLH trike kit is built to the highest standards by craftsmen dedicated to producing a product that will out-perform, out-ride and out-shine all competitors. 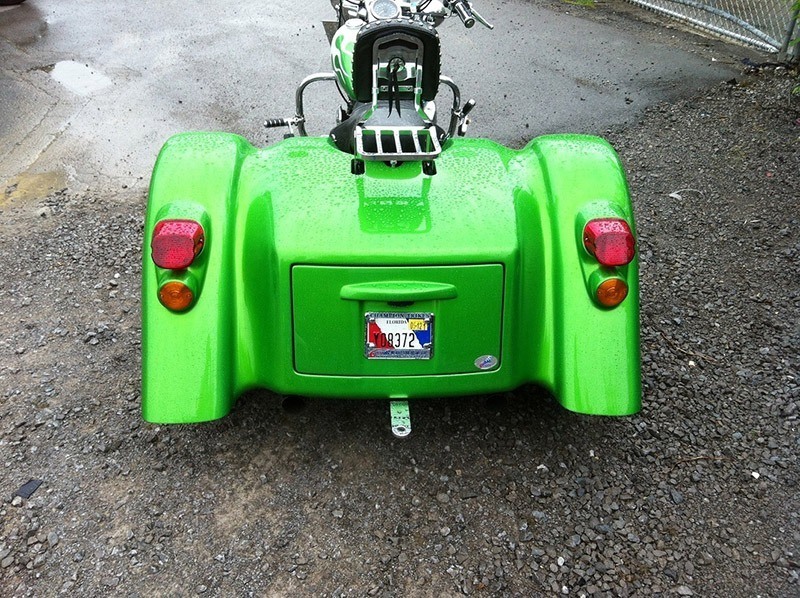 With performance features like disc brakes, our “Zero-Flex” swing arm, and our custom-designed mounting hardware, which features the fastest and cleanest installation available of any trike company. 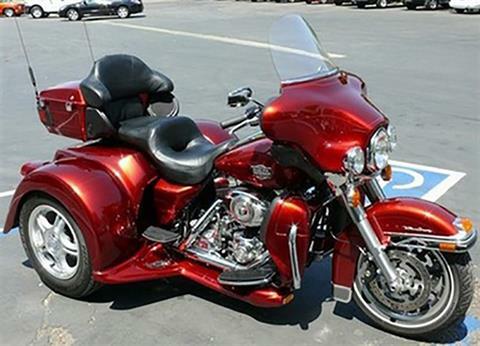 This beauty is certain to keep your dreams alive! 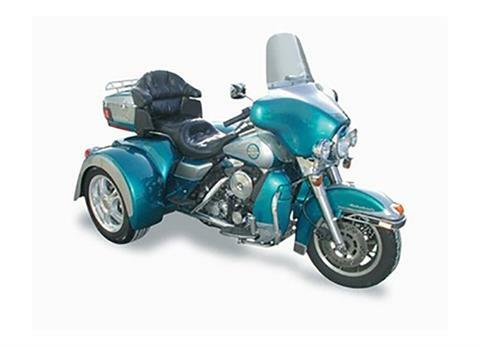 Kit prices may vary depending on your vehicle model. 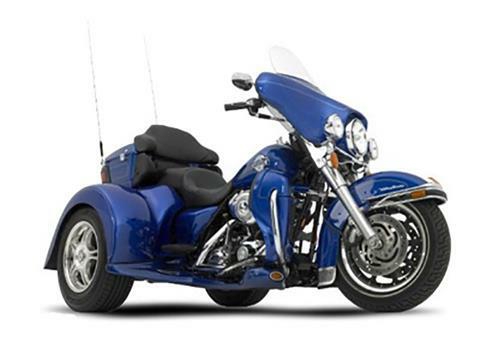 Champion's "Easy-Install" rear-end with a custom differential designed to fit the OEM's drive sprocket. 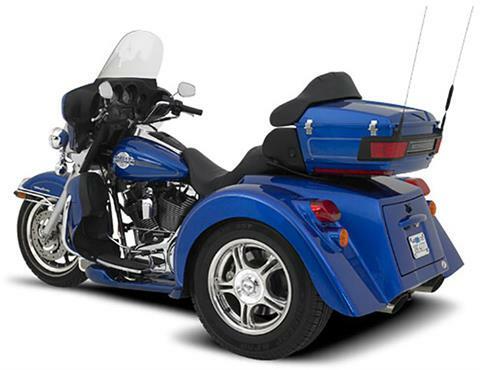 Extra-large trunk, plus over-wheel storage - Increased capacity fits two full-face helmets and more! With EZ-Steer - 99.75 in.